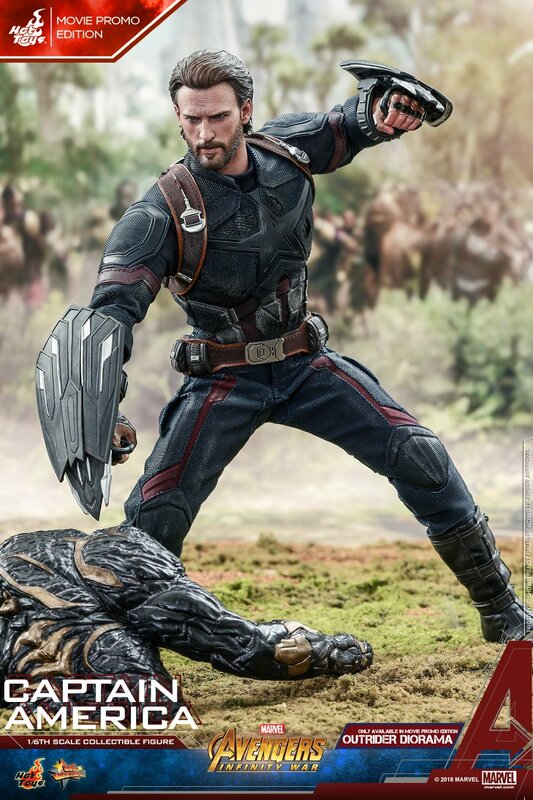 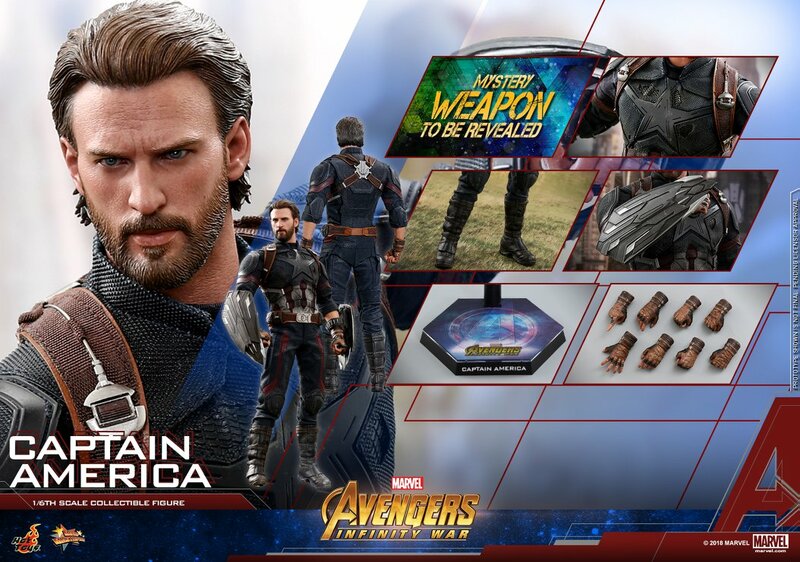 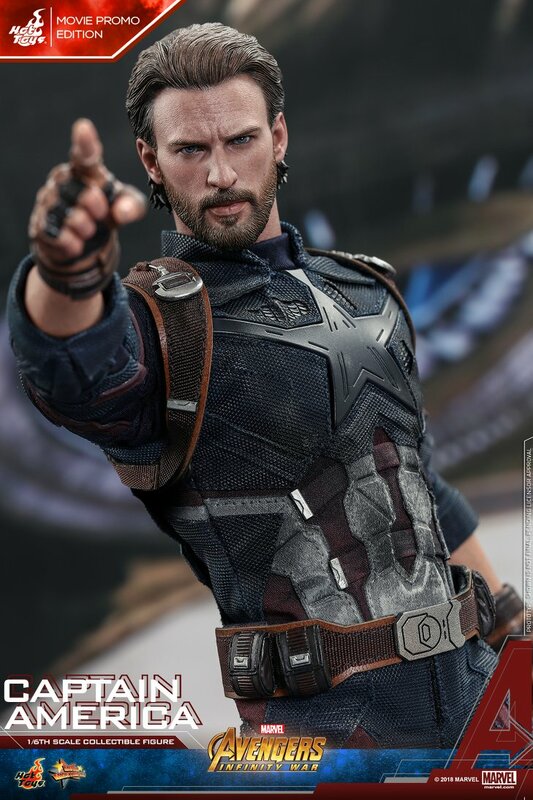 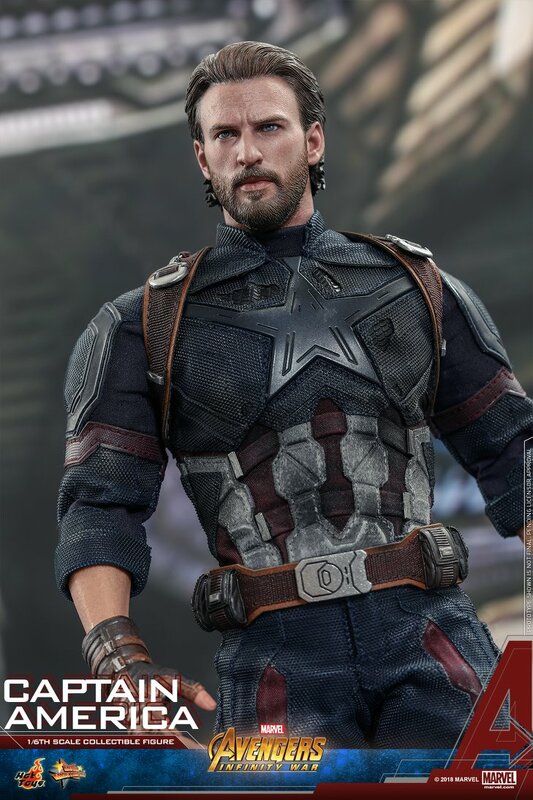 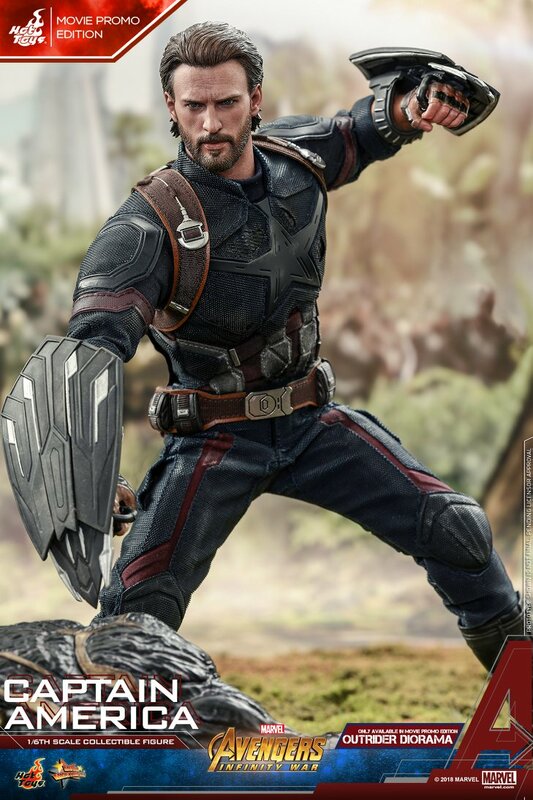 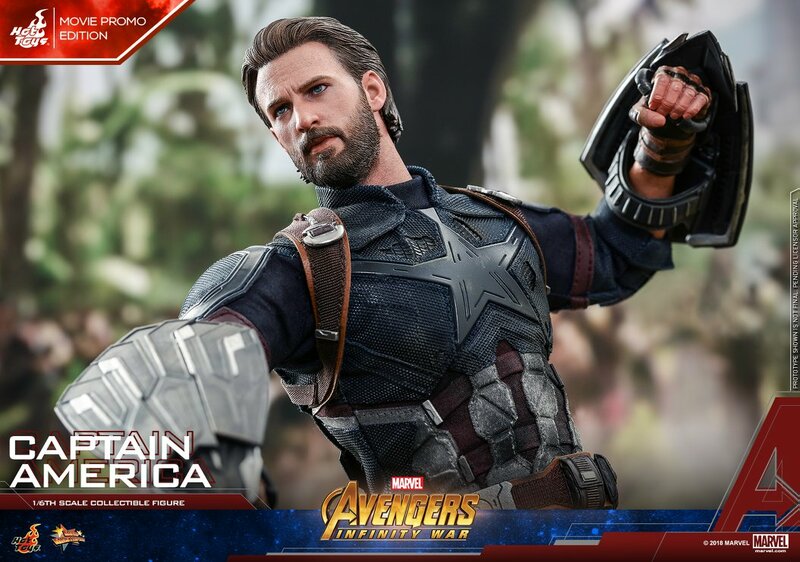 Hot Toys has officially announced their upcoming Avengers: Infinity War – Captain America 1/6 Scale Figure. 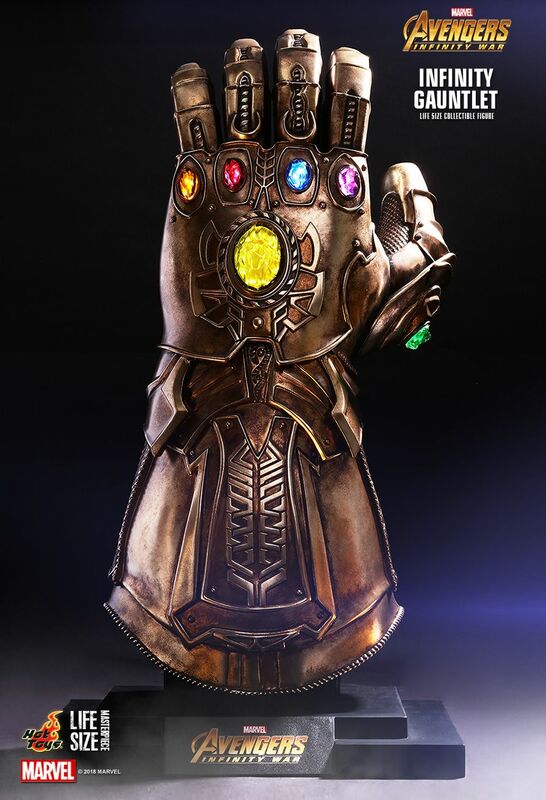 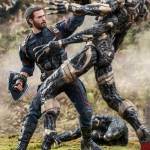 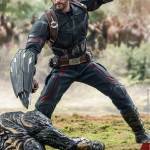 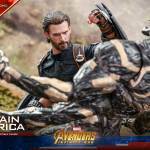 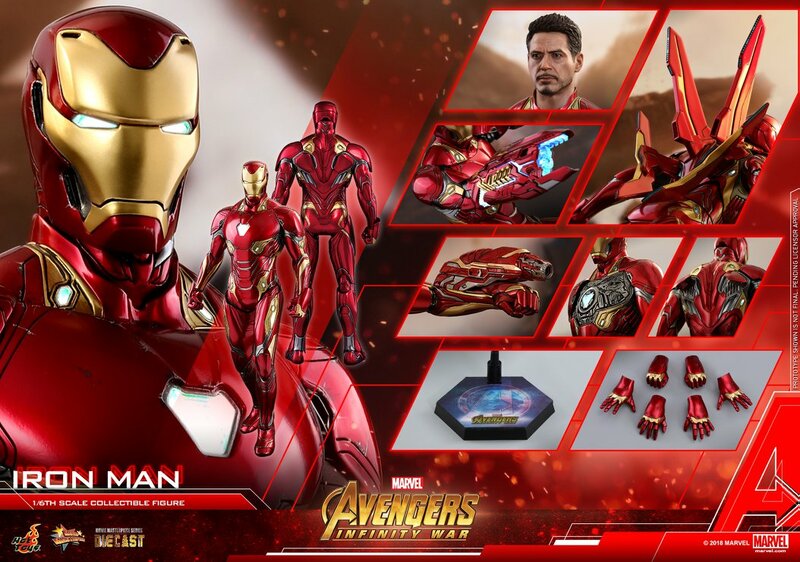 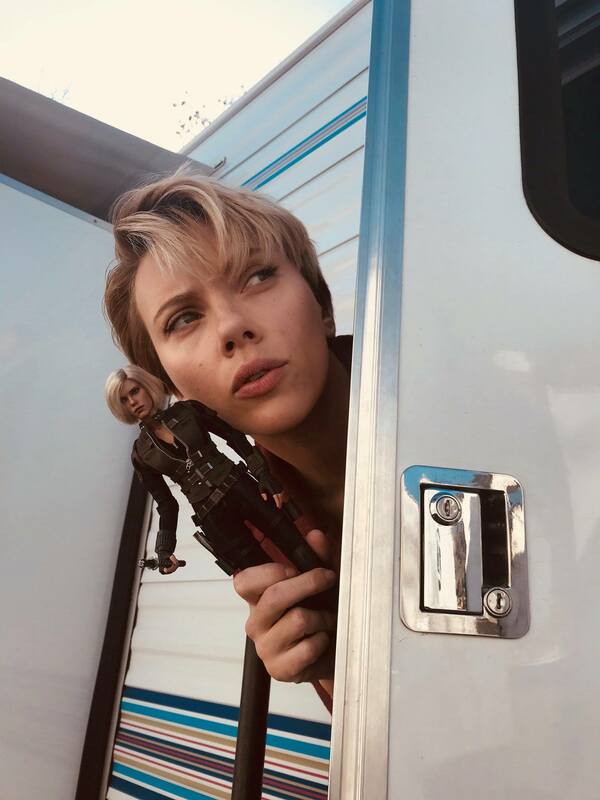 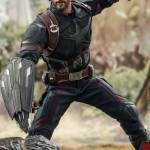 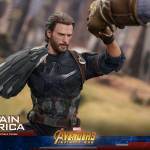 The new figure, based on his appearance in the highly anticipated third Avengers film, will be available in two versions. 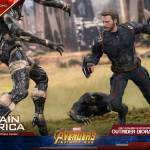 there will be a standard release as well as a “Movie Promo Version”. 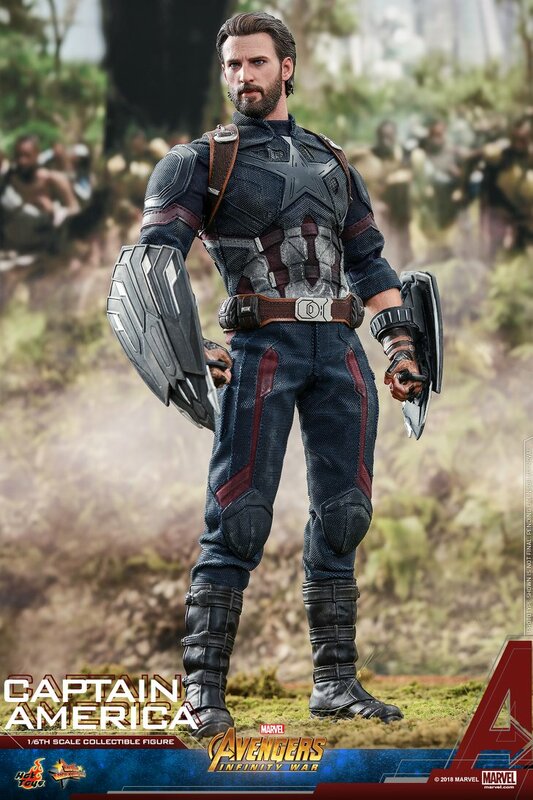 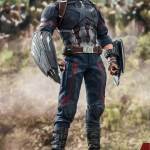 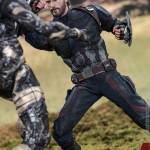 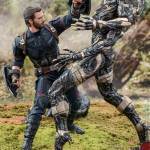 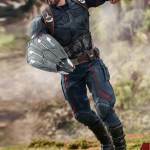 The Captain America figure stands over 12″ tall with about 30 points of articulation. 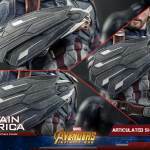 The figure includes multiple interchangeable hands, his Wakanda designed shield, a mystery weapon, and a figure stand. 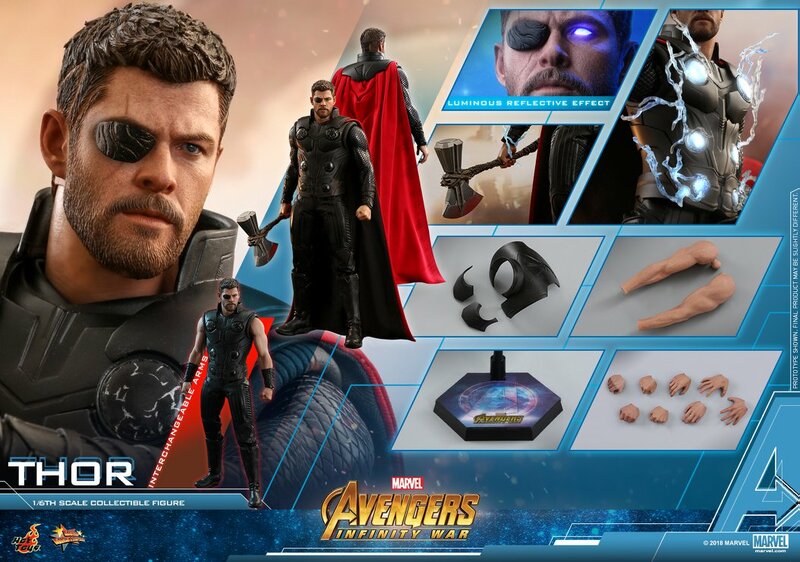 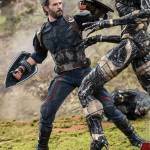 The Movie Promo Edition will include those items, as well as an additional mystery weapon, and a fallen Outriders display base. 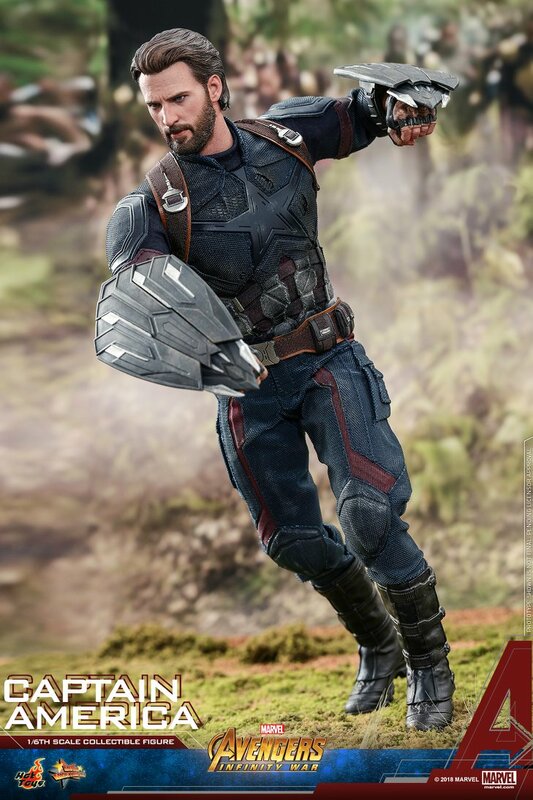 The mystery weapons will not be revealed until the movie has opened. 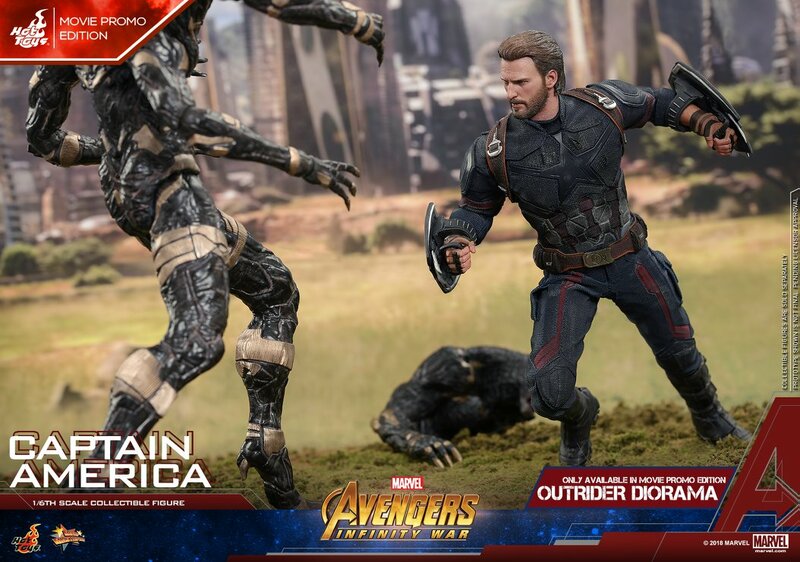 In the new photos, you can see more figures coming from the line. 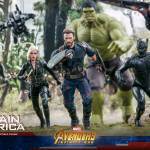 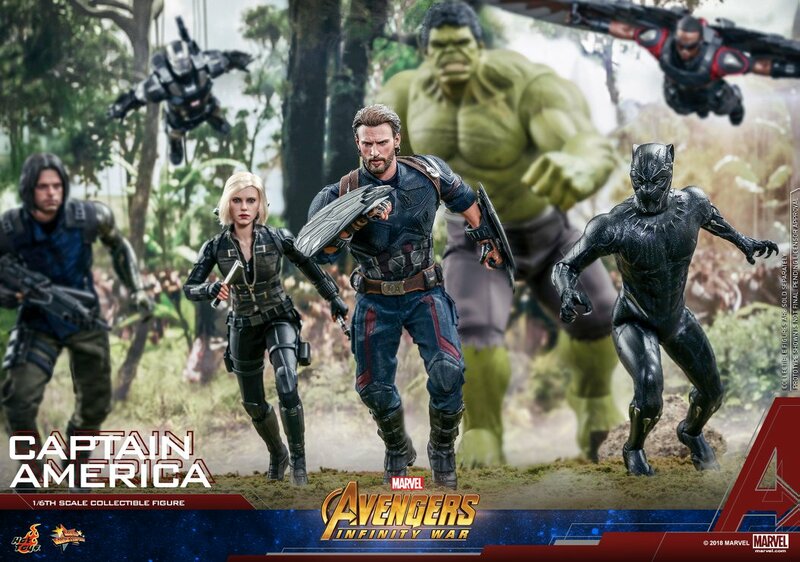 These include Winter Soldier, Falcon, War Machine, Hulk, Black Panther, and one of the Outriders. 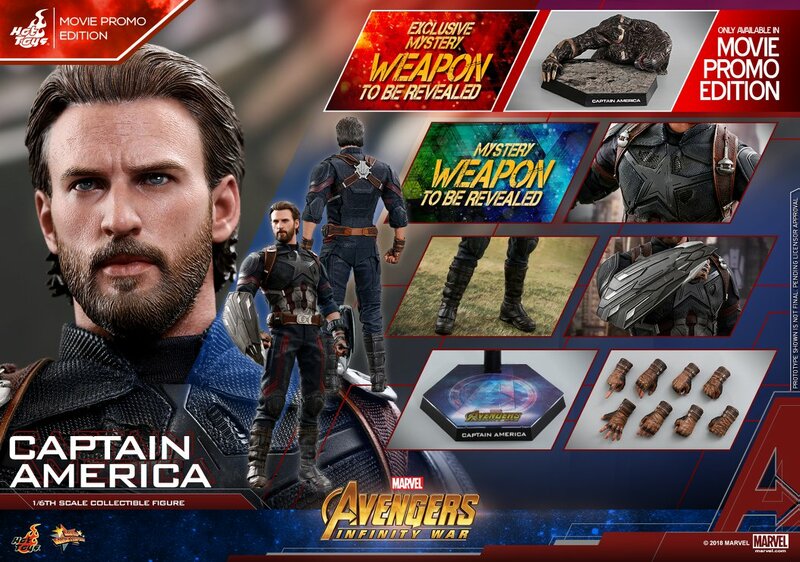 Some of them, though, may simply be from one of the prior releases. 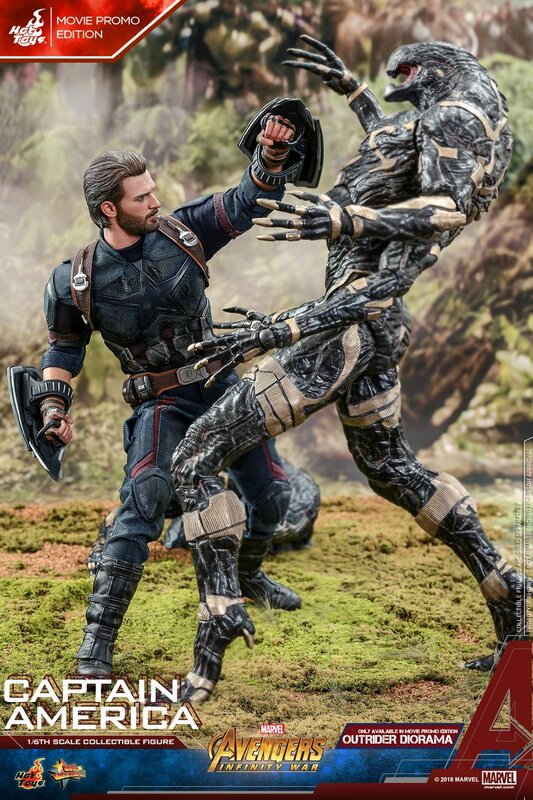 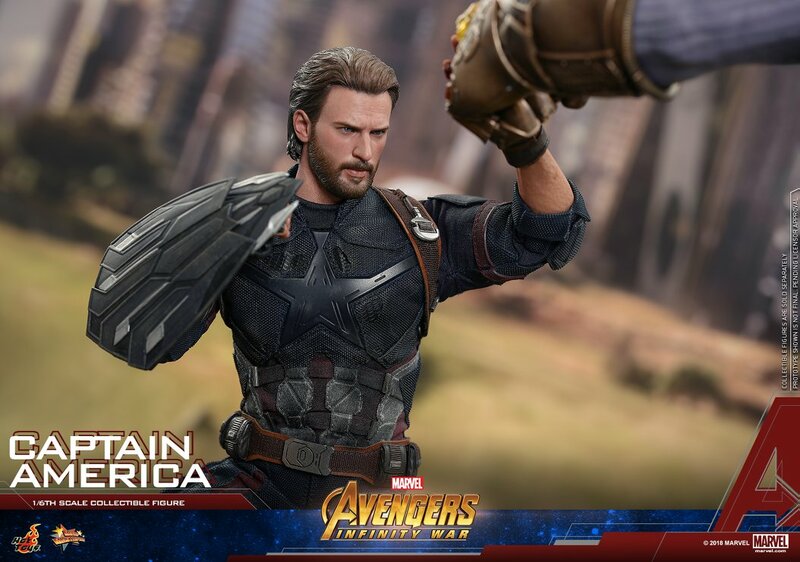 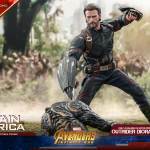 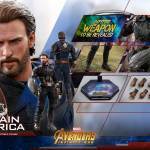 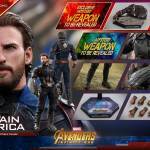 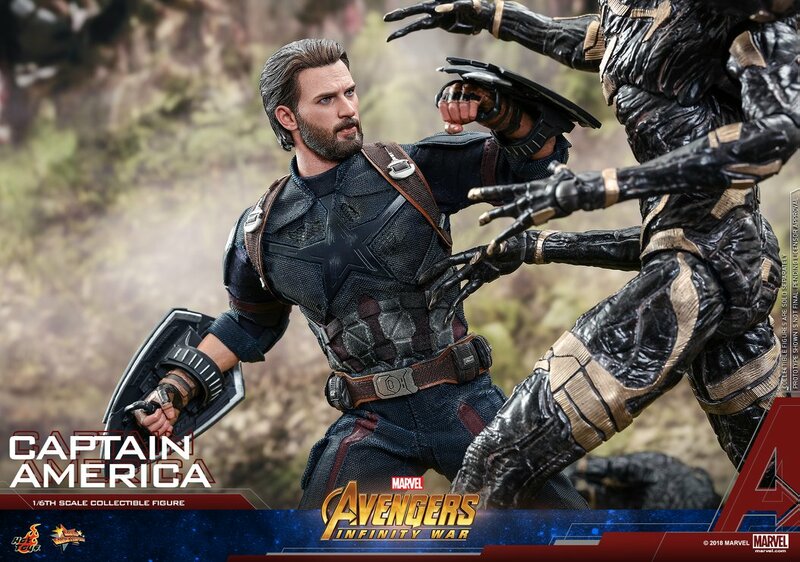 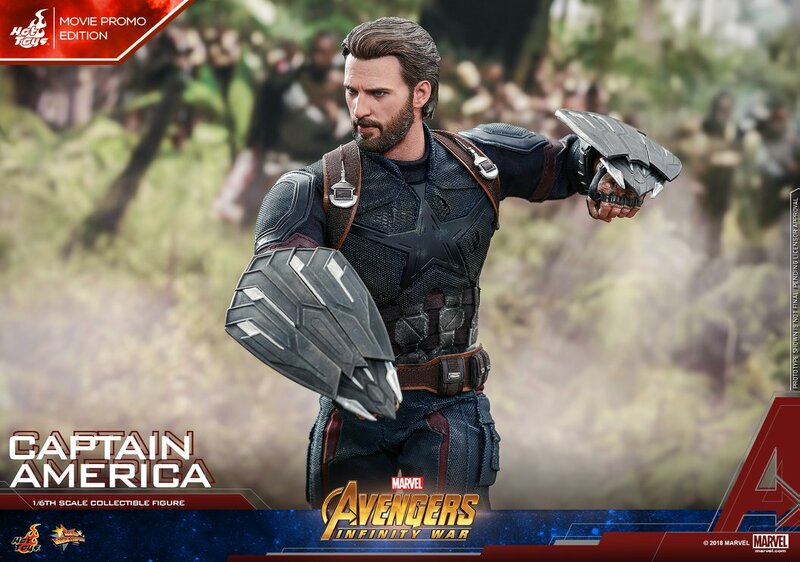 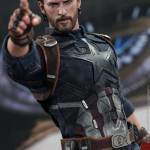 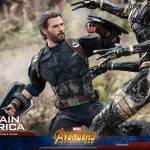 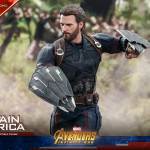 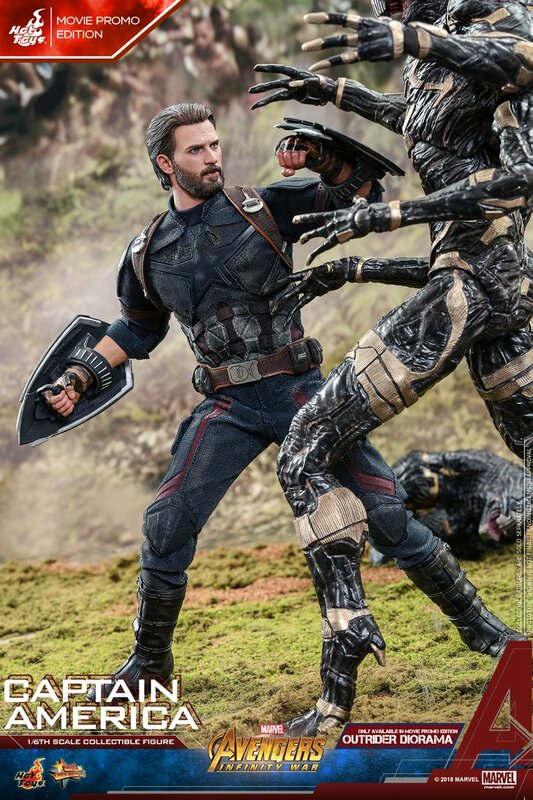 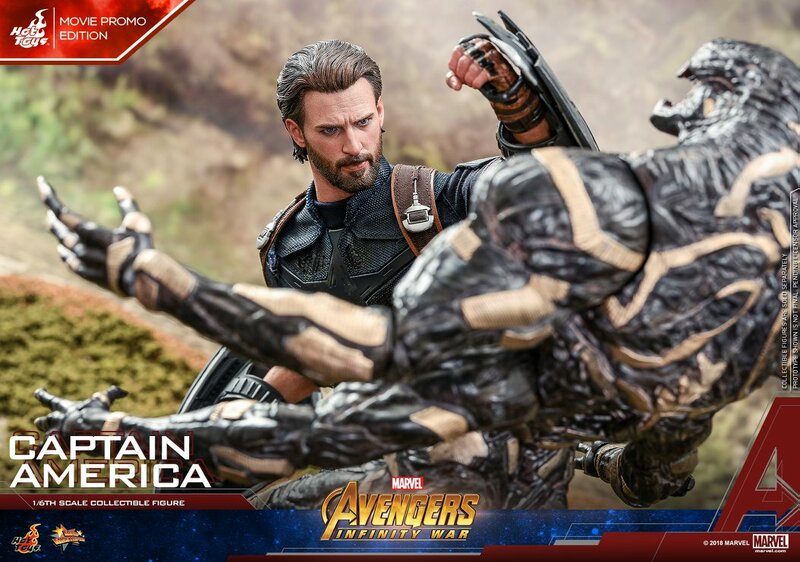 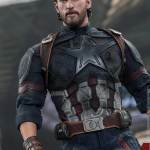 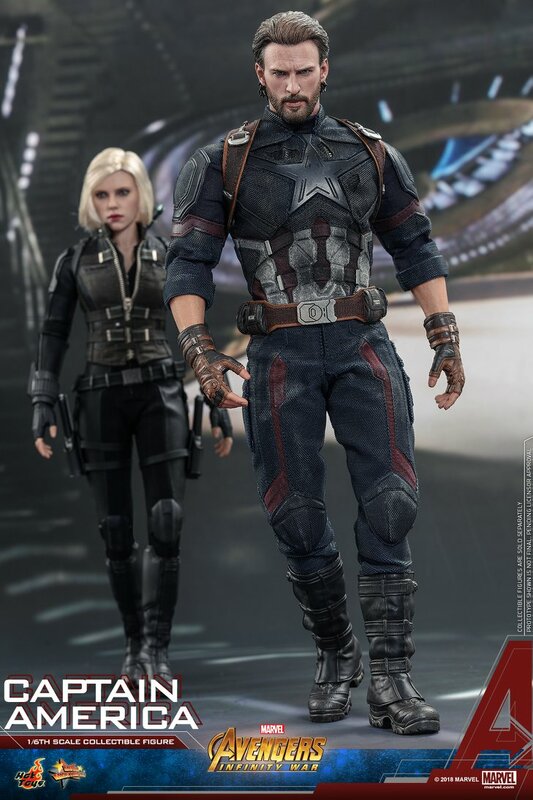 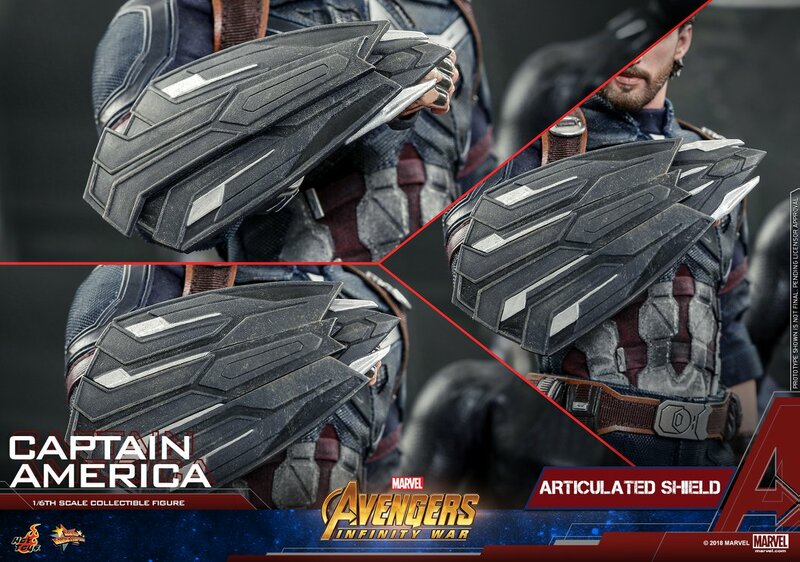 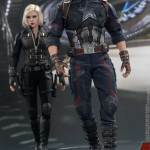 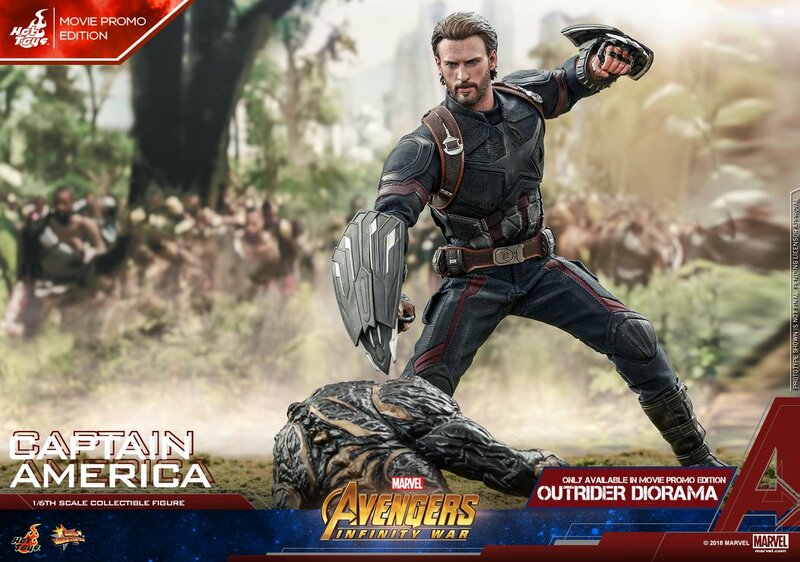 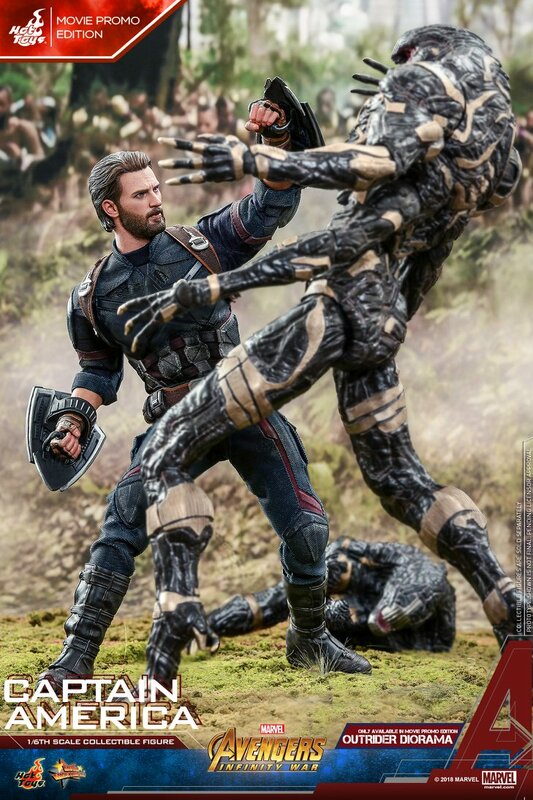 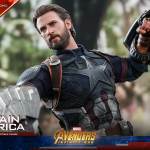 The two Avengers: Infinity War – Captain America 1/6 Scale Figures are scheduled for release between the first and second quarters of 2019. 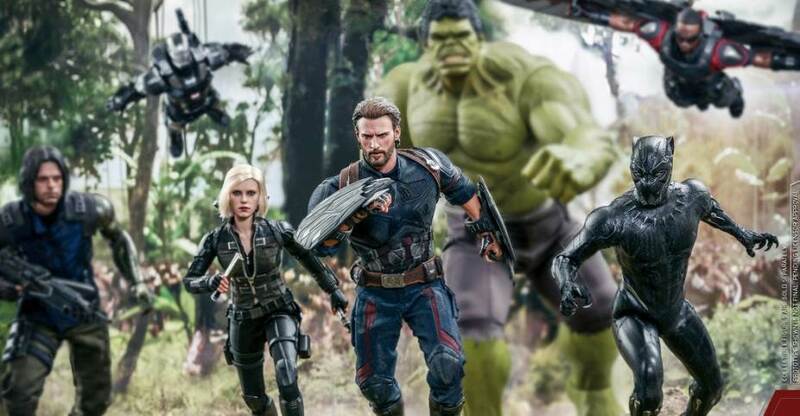 Pricing has not yet been revealed for the figure. 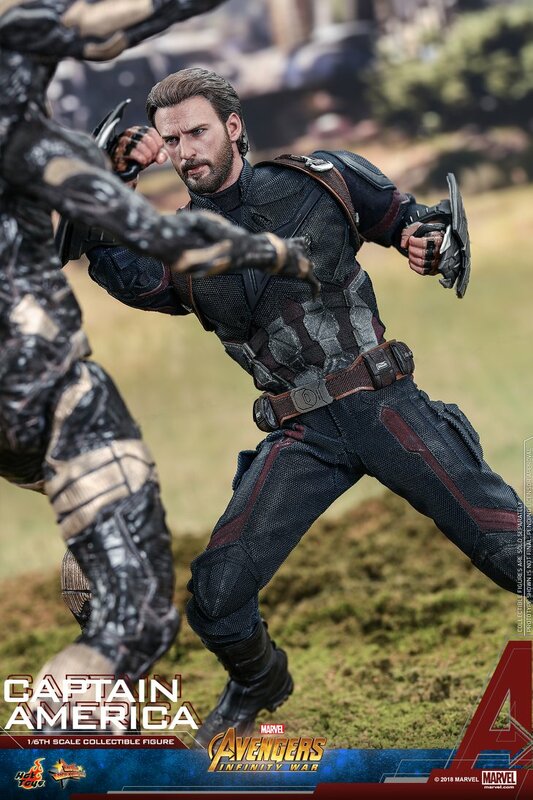 You can see additional details and the new photos after the jump.